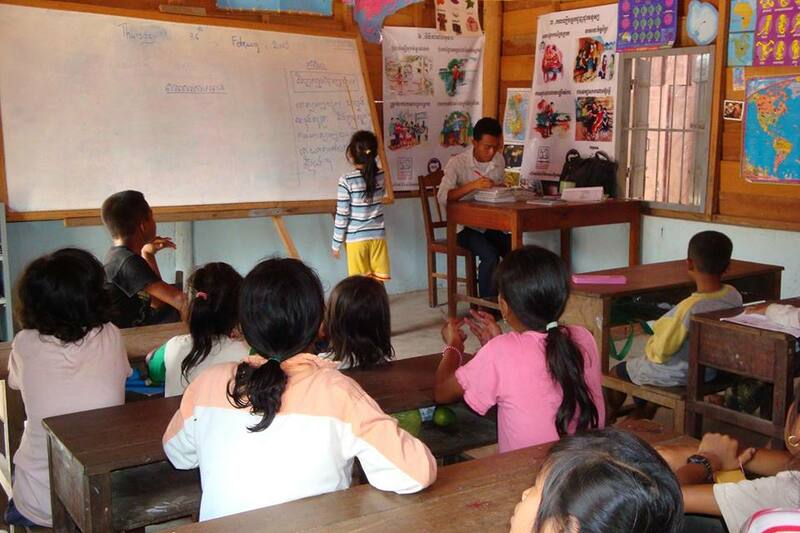 Aspire Training & Education, (ASPIRE), was founded in 2012 by Mr. Sean Samnang, a local Cambodian, who recognized the urgent need to help the many destitute and orphaned children living in his country. This situation was brought about because Cambodia’s education and health care systems were completely destroyed during the Khmer Rouge Genocide and Cambodia has been unable to make significant gains in rebuilding it due to the subsequent 2 decades long civil war. 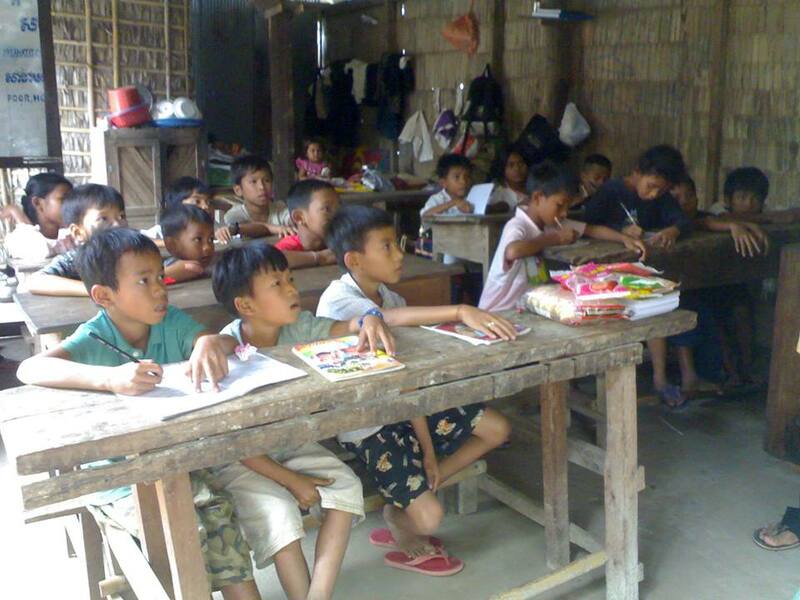 Now corruption is rampant and Cambodia’s education and health care systems remain in shambles. Siem Reap itself is one of the poorest areas in Cambodia with over 75% of the poor people living in dire poverty. Mr. Sean Samnang was born in 1980 and grew up in a very poor family, working on a farm to pay his way through secondary school and university. He also worked for seven months in a tailoring factory for ten to thirteen hours a day just to complete his education. Receiving help and encouragement from a sponsor in Thailand, he moved to Phnom Penh where he worked for a charitable organization on a voluntary basis, but received his board and lodging. Voluntary work in return for board and lodging is still common in Cambodia today, and the members of staff at ASPIRE are all local volunteers. Since he himself had received help when he most needed it, Samnang wanted to be able to provide help and opportunities for others. Samnang was offered a position as branch manager of a new orphanage in Siem Reap while he was still studying (he finally completed his education in 2008). The initial aim of this project was to bring in children from the surrounding neighbourhood to teach English and Apsara (the traditional Khmer dancing). Although this venture was welcomed by the local community, it sadly failed due to a lack of donations from passing tourists and the help of a stable sponsor. The area around Siem Reap is extremely poor, and Samnang still wanted to be able to work in this area. He understood the steps he needed to take to get official permission to open an orphanage, but he lacked the money to begin the process. His parents offered to use their home and piece of land as a guarantee against a bank loan. They were thus able to borrow 1.000.000.00 Riel (US$250). With this money Samnang was able to pay for the documents to be processed, to pay for necessary travel, to design a logo and to rent a small house and piece of land. The documents were finally complete on 5th December 2006, and the organization was then called the Cambodian Orphan Save Association (COSA). The house had originally been a mushroom shed and needed a great deal of cleaning and preparation. A neighbouring generator caused a loud noise for the better part of each day. But it was a beginning. The first step was to invite local children to come for Apsara and English classes. A number of the children wanted to come and live at the house, but at that point there was no funding, so Samnang went around the villages asking for food donations. The families knew him from the first venture that had failed, and they trusted him and gave whatever they could. At first, Samnang took the children to the Lolai temple to ask tourists for donations. This was a great source of funding as they were able to raise $30 to $50 each day during the tourist season, and after only four months the orphanage was able to move to a bigger and quieter location just a hundred metres up the road on the Sras Srang Lake. 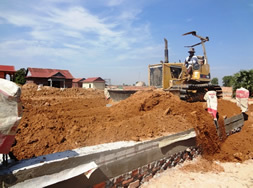 With a generous donation from an Australian sponsor of $4,000 Samnang was able to build a new orphanage on this land; he later changed the name to Cambodian Orphan Save Organisation (COSO). During 2007, after a year of collecting donations at the Lolai temple, the police told Samnang that the children were no longer allowed to work there. This was very hard on the orphanage as it had lost its main source of income. However, tourists still dropped by to visit the orphanage and gave donations, but these were not as frequent as they had been before. 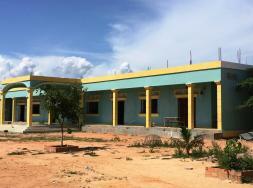 Many children still wanted to live at the orphanage and so Samnang began to look for a larger piece of land, and today the children live at Trang Village on National Road 6, 7 kilometres east of Siem Reap. The village was just a piece of land when purchased, but due to vistors' kind donations and Samnang's hard work it is slowly becoming a fantastic place for the children to live and learn. Come visit us and see the progress! In 2012, due to a name clash, it was necessary by order from the government to change the name to ASPIRE Training & Education and this is the name we are now known by and registered under. Our charity registration number is 3385. Now we are providing for 80 children of ASPIRE and support the 500 kg of rice per month to their families in community at Prek Kuy Village. The children who have received the scholarship at ASPIRE come from backgrounds of extreme poverty and deprivation. They range in age from 5-16 years. Many have never been to school and are desperate to be provided with safe living in the community. 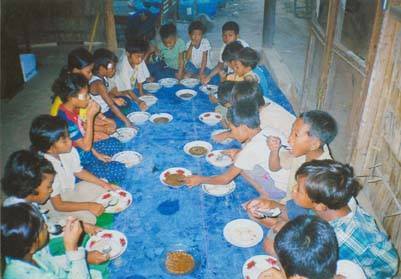 We provide three meals a day and ensure that all the children attend government school. In addition, we run our own classes in Khmer reading and writing as well as English language lessons and computer lessons. We also believe in preserving the Khmer culture, so we teach the children traditional Khmer dances and how to play Khmer musical instruments. Our staff are trained in good childcare practice and management skills. We aim to equip them both socially and academically to take up a constructive place in Khmer society when they are adults. To fill on soil for school's foundation ! The labours are laying brick for school building ! 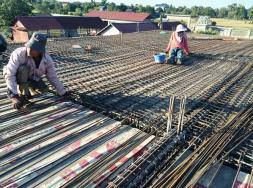 The labours connected the steels for second levels of school building project ! 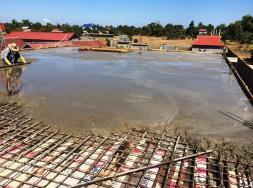 The labours are progressing the concrete on second level of school building ! 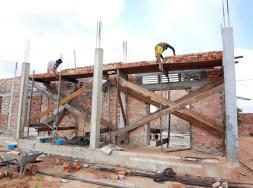 The first floor of ASPIRE school are finished, and we are planning to build second floor in the future.